In The Tree of Life, the universe materializes from milk, paint, and dry ice. The textures of the grand narrative that began with nothing and culminated with sentience are finely wrought but writ impossibly large. By nature, films are stimuli delivery machines, ideal for tapping into elemental, easily-elided minutiae as well as bombastic macrocosmic expanse. For your convenience, Terrence Malick encompassed all this in a single work; though, to make matters more difficult, he unearthed commonality at either end. Despite efforts to stuff it, film doesn’t obey standard notions of syntax and grammar and diction. There are too many variables in the mix, an ocean of interpretive signification and culture, mobilizing stacked strata of orchestrated sensation and reception. Grand syntagmatic encyclopedic frameworks have been amassed, but, like Peyton Westlake’s synthetic noses, they’re unstable at a molecular level after 99 minutes. By this metric, film is not a language. Instead, they’re precision-crafted, lavish motoric devices, shiny and chrome. Aerodynamic lines slice through our conscious perception, hurdling modern films forward at a smooth, steady clip. If you peek under the hood, sharp, angular configurations reveal unlikely connections—strange, nature-defying bedfellows. Take two from just a year or so back—Mission Impossible: Rogue Nation and Deux jours, une nuit. 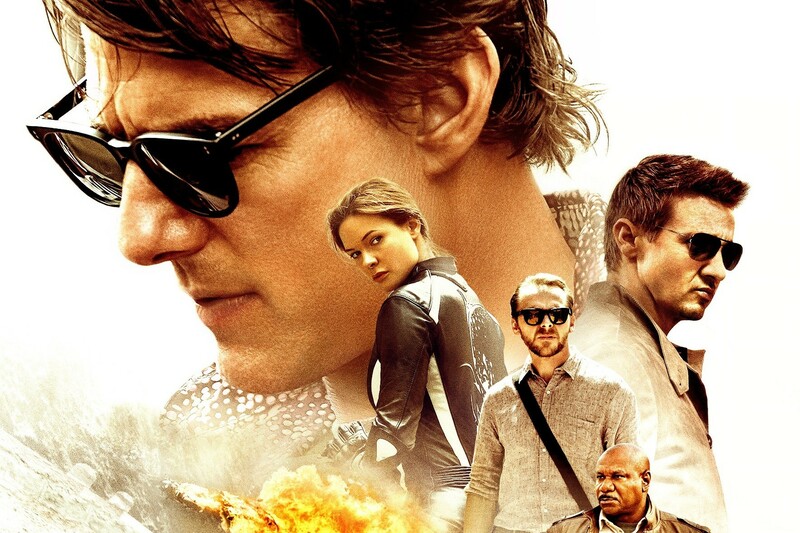 In the former, superspy Ethan Hunt and his crack team of reprobates globetrot and engage in all manner of international intrigue, convoluted subterfuge, and byzantine good v. bad contrivances. It’s a handsomely appointed blockbuster in other words, built on spectacle, genre devices, and grand-scale machinations. In the latter, Sandra, after being downsized from her position at a solar panel manufacturing plant, reluctantly fights to save her job and livelihood, meeting with her coworkers individually to get them to vote in her favor come Monday morning—the choice is either to keep her on and give up their bonuses, or let her go and claim €1000. It’s a carefully-observed character piece in other words, built on quiet moments and unspoken sentiments to craft an incisive dissection of mental illness and late-capitalism. By all accounts, these two films essentially occupy the extremes at either pole of the spectrum of modern film output. Turns out, in this particular filmic continuum, space indeed folds over itself and births some overt spatio-temporal fluxes. That is, this blockbuster and this art-house darling share a skeleton. M:I is a task-oriented series. Scenes and sequences are insular undertakings; they are set up with specific strictures, subsets, complexities, and impossibilities, what have you. Each scene has its own internal logic, a singular rhythm, and often its own stand-alone style. The parameters are set at the beginning, frequently with a round table meeting, where the characters, in tandem, outline strategy and setting. As the sequences unfold, additional complications arise organically based on the constraints and dictates of the environment and the task at hand. Each character has a sub-agenda, and all these tasks run in parallel but are interdependent, and are sequenced to a strict and narrow timeline. All of these dovetail in pursuit of a single designated goal, the endpoint MacGuffin of the sequence. Once achieved, the next task is unlocked accordingly. The Mission Impossible film series is really one long example of this, each entry a showcase for a particular filmmaking sensibility—from DePalma to Woo to Abrams to Bird to McQuarrie—operating apart from one another but with a unilateral momentum. They are perfect entertainment delivery devices. Incredibly, Jean-Pierre and Luc Dardenne’s Two Days, One Night functions in the same way, but on a different wavelength, using the same narrative tactics from an opposite end. Two Days, One Night is a fantastic example of a mathematically drawn narrative, but it’s beguiling rather than obsessively linear. Still, the timeline and goals are precise and interrelated, each branch connected to a central mast. The didactic fundamentals of action cinema seep into this tragedy—Two Days is not above the thrill of a showdown, with tense confrontations and battles of will. But these binary face-offs and are scaled-down; the duels are muted and the fortitude that fuels them is shaky. Well-honed mainstream tropes are refracted inversely, slyly manipulated then crumbled. And the powerful mechanisms that dictate and draw and wrangle viewer attention and steer it down a particular path are thwarted. It is conversant in binary but shows it as a false system. Melancholy and relative mutual understanding and shame destabilize easy reading and empathy. Two Days, One Night kinks M:I’s hyper-linearity by accentuating the notches in the spinal column. Instead of being flashy and complete, these interactions are truncated, elliptical, and frustratingly terse. It strives for intimacy over virtuosity, minimalism over displays of stylization, and it weaves these moments into a delicate social fabric. The repetitions are ripples instead of sloped line charts. Each response has a clear foundation and implication within the network, but it also redraws the parameters of the network with each pass. With the clustertask framework, each side road opens up a new world that is only glancingly struck—M:I exploits this for spectacle, Two Days, One Night for thematic density. Film viewing in essence is a systemic, real-time process of piecing together shards of information. We’re remarkably savvy at this by now. But of course, patterns, trends, and common forms are constantly (d)evolving and shifting simultaneously, and are retroactively redefined. So arises the interminable industrial need to keep pace. All this cuts across the concept of the “set piece.” Hitchcock famously said that a film should have three of these crescendos, arias of “concentrated virtuosity.” This is somewhat modest by current standards. Set pieces are the nuclear option in a mounting war of attrition in the modern industry, a constant race toward higher levels of excess in a mad dash to burrow deeper into the memory banks of viewers ever-desensitized to grandiosity. M:I and Two Days, One Night render the interlocking superfluity of our current universes with potent reductions of intensified, systematized continuity that belabors the intricacies of process and revels in interchangeable parts. The mechanics of film are tuned up and polished to the point where we stand in awe of the machine itself. Each build façades of progression and escalation—M:I a crystalline ideal, Two Days, One Night a purposely hollow apparatus—where film art is posited as a Rube Goldberg contraption at heart. Excellent presentation of binary opposition in film.